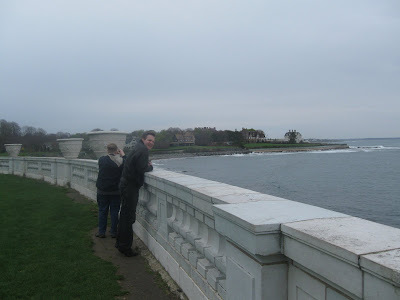 Yesterday in Newport, we did the plus 1 tour of the mansions. 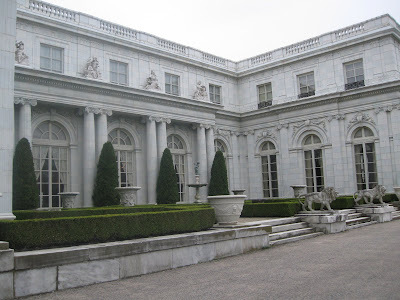 I insisted on the Breakers and then Kari and I got our way for Rosecliff because we liked the picture of it in the brochure. 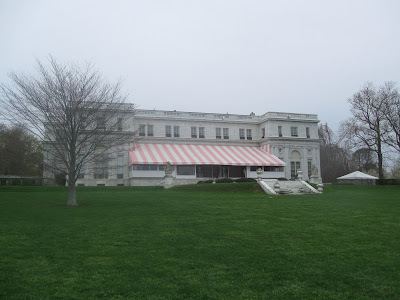 Turns out that The Great Gatsby was filmed there. Robert Redford! 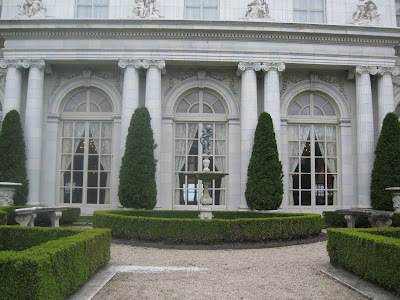 Some other movies were filmed there too, but best of all to me, the docent said that Cole Porter composed Anything Goes there sometime in 1933 or 34. Maybe the Merm was Reno Sweeney-ing her way around that gorgeous lawn. 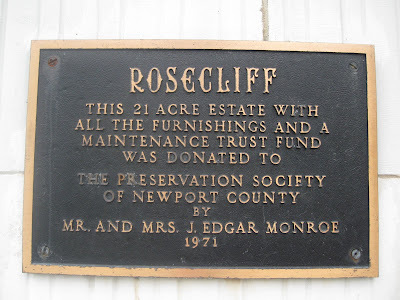 Thank you for telling us of your wondefully photographed visit to the Rosecliff estate. 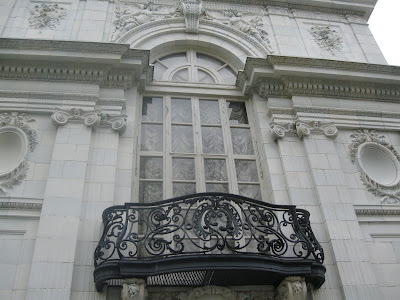 The vistas you captured are truly breath-taking, and the mansion itself is equally beautiful. Who knew that it had such a distinguished and artistic history connected to it?